When I got back to blogging, 2 months ago, I found out that I can't follow all the blog maintenance needed - statistics, what to post when, affiliated plans, guest posts, ideas and more. I started with a small notebook, my ideas notebook, that I still carry everywhere I go. I write and scribble in it ideas for posts or things I want to make. But that wasn't enough, and at some point I understood that without the right planning, I'll be doomed. 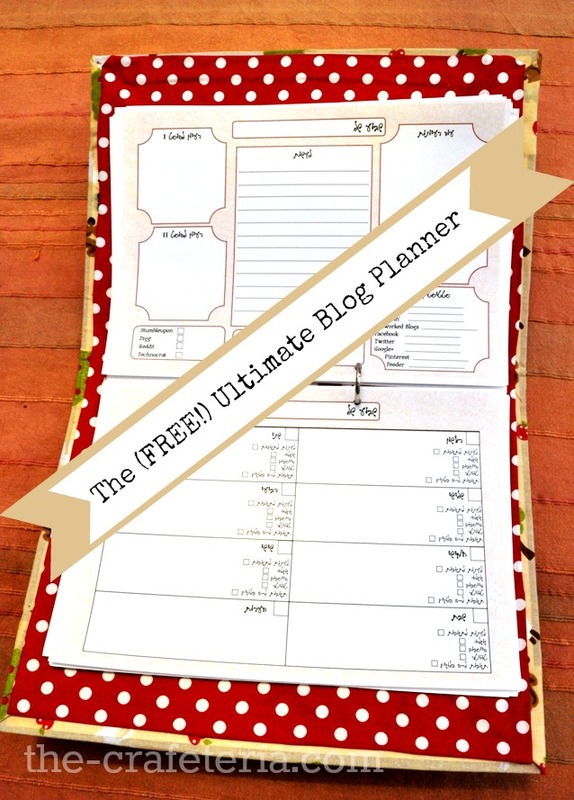 So I made my bloggy binder, which is simply a blog planner, with a monthly planner in which I plan which post to publish on what day (very helpful during the Ultimate Blog Challenge! ), and a weekly planner with daily tasks detailing. In addition, I also made an End of Month page, with statistics, income and expenses and to-do list, and another weekly page with statistics, things to do on a daily/weekly basis and post ideas. The binder itself, by the way, is a fabric covered binder. Hopefully I'll publish today a tutorial for that. If you want to get this blog planner PDF (for FREE), so that you can print one for yourself, all you have to do is subscribe to The Crafeteria's newsletter. All subscribers will get the blog planner into their inbox (if you already subscribed, don't worry, the blog planner is on its way to you!). To subscribe, look at the top-right part of the screen for the Subscribe to Our Newsletter box. Fill in your email address and you will recieve a mail asking you to confirm subscription. This is necessary, to make sure that you're human and that you did ask to subscribe yourself. After confirmation, you'll recieve the promised blog planner to your inbox (it might take up to 24 hours). 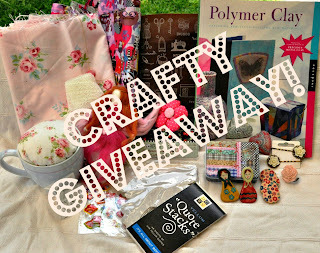 And don't forget our Crafty Giveaway. Enter to win lots of crafty goodies (if you just subscribed to our newsletter, you already have one entry!)! Thanks Sharon :) Hope you find it usefull! I subscribed, and I'm sharing it on google and stumble upon. Thanks! Thanks Tammy! 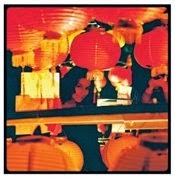 I stopped by your blog as well and I really like it (I'm a follower now :))! Nice! 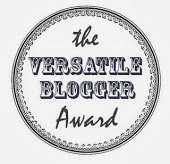 I feel overwhelmed most times with my blogging, so thank you for sharing! I'm going to try getting more organized with this! Stopping by The SITS Girls! Thanks, I know the feeling! Hope it'll help you like it did to me :) Btw, stopped by your blog, your summer salad looks great! I've subscribed. Like you, I also carry an ideas notebook with me, but this binder will help me keep all those ideas organized....thanks! Sent it, hope you like it :) Thanks for stopping by! I subscribed and can't wait to check this out! Very organized, Tal! Thanks for sharing! Ultimate Blog Challenge Day 31!!! Sweet Surprise - My First Award! UBC Day 24. Now It's Your Turn! Chinglish - Funniest Thing Ever! Day 17. Now It's Your Turn! Day 10. It's Your Turn Again! Day 3 - It's Your Turn!